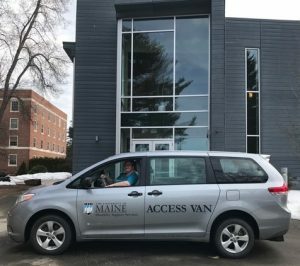 Student Accessibility Services operates a van service for students who have mobility disabilities (including temporary issues like broken legs or post-surgery recovery periods). The Access Van operates during normal business hours on a timed schedule and circles campus throughout the day. Please note due to the regular class schedules the pick up times are one schedule on Monday, Wednesday and Friday and a different schedule on Tuesday and Thursday. The van will wait one minute at each stop before moving on. We will be doing our best to make it to each stop at the time listed but traffic (both vehicle and pedestrian) may effect those times. We recommend that you are at the stop a few minutes early to ensure that you do not miss the van. 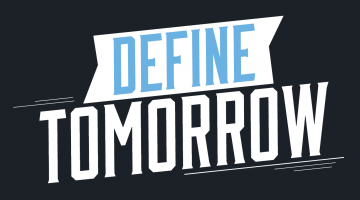 Alternately you can take an earlier ride to ensure you are on time for classes. the van route will begin each round at the start location marked. Further questions? Please contact Student Accessibility Services (SAS) with the contact information below.